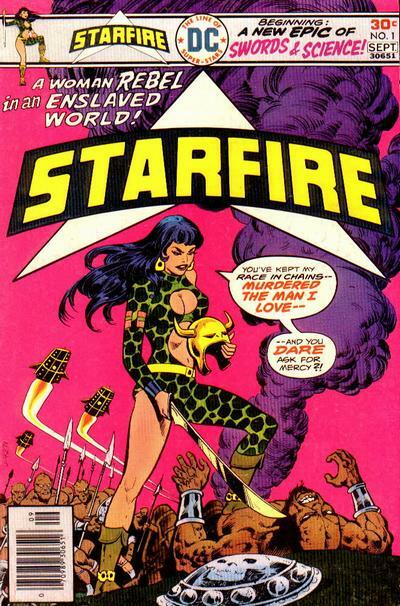 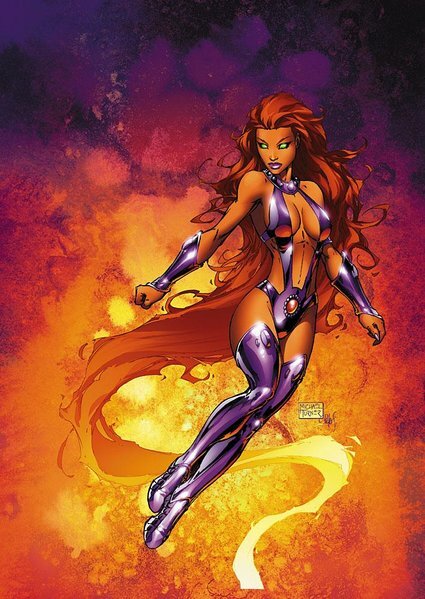 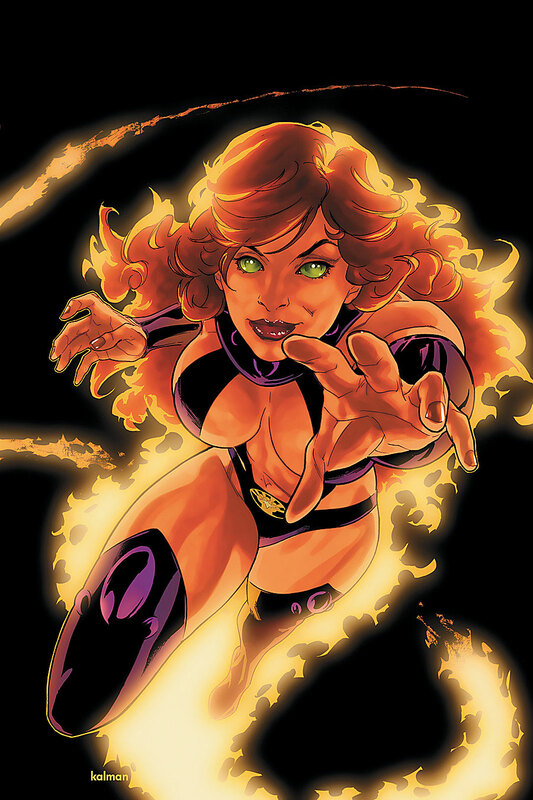 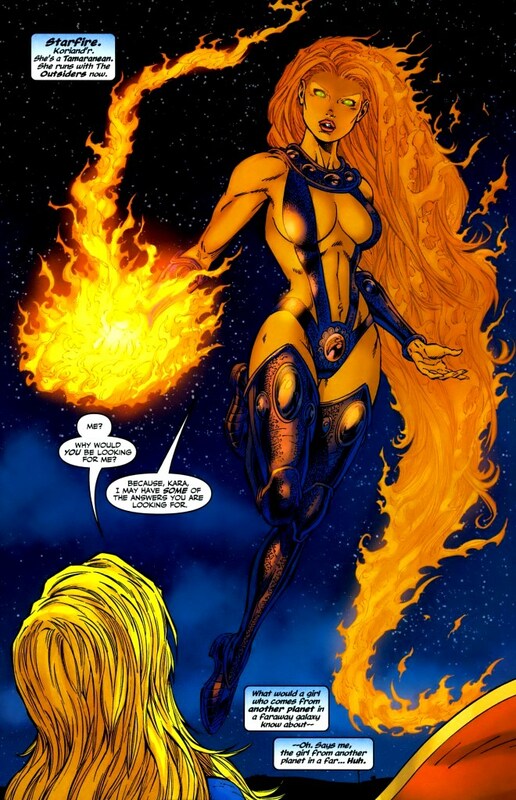 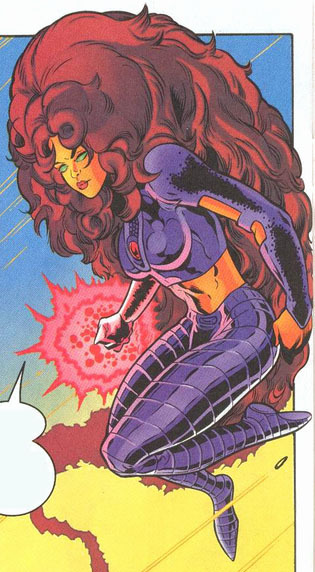 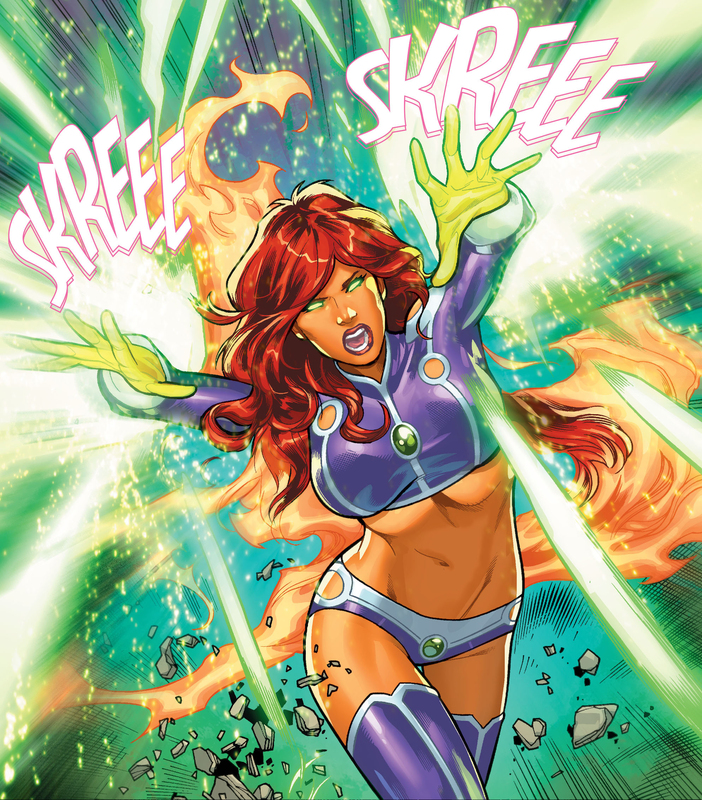 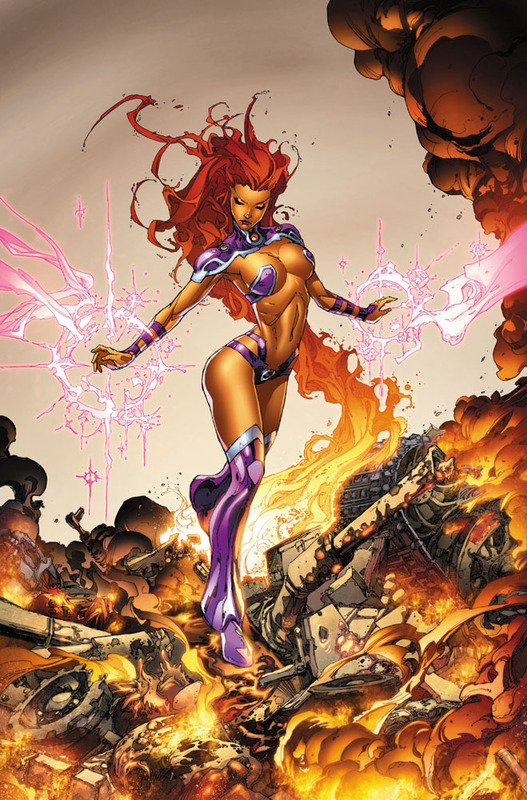 Starfire is an alien super-hero with powers of flight and energy projection. 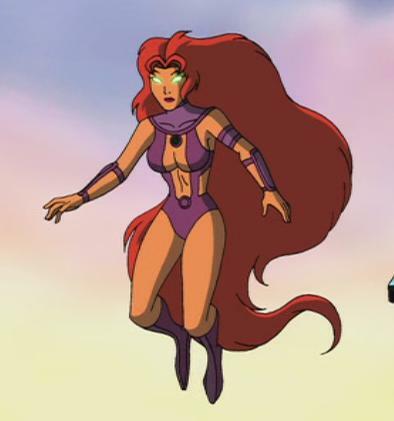 Born a princess on the planet Tamaran, she escaped execution at the hands of her older sister Blackfire and traveled to Earth. 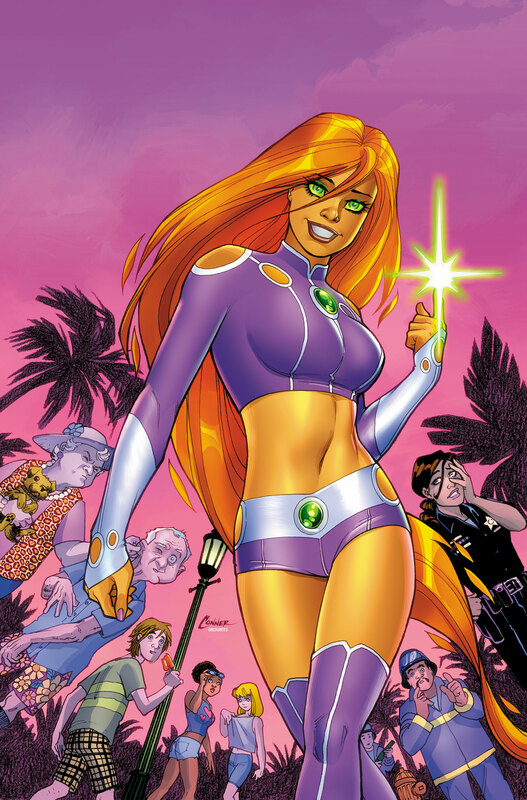 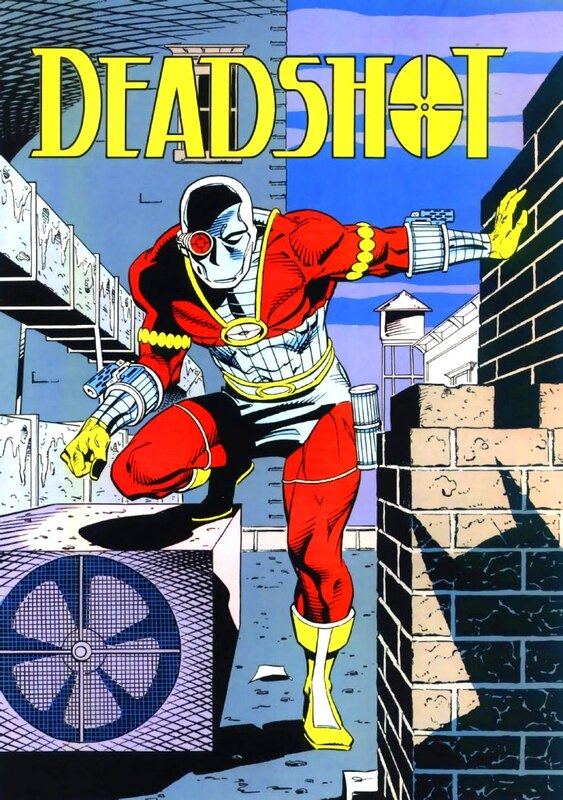 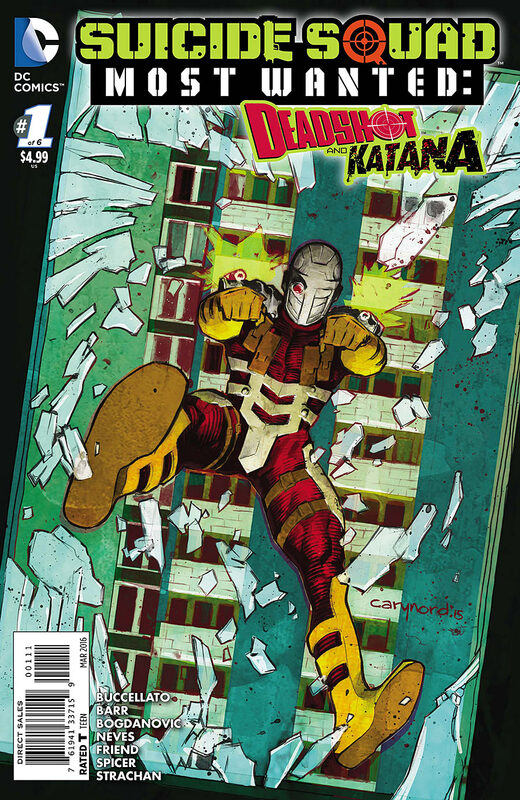 Meeting the Teen Titans, she became a charter member and stayed with the team for most of her career. 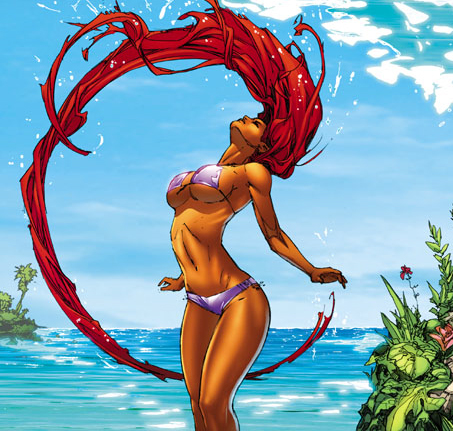 Her culture's different standards of intimacy cause her to be extremely open and sexually liberated by human standards. 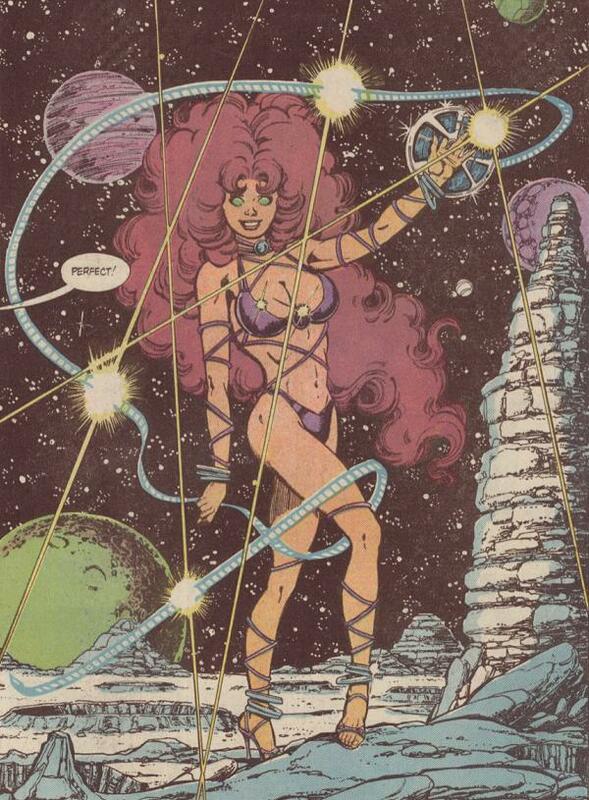 She has also been a member of the Justice League, Outlaws, Outsiders and R.E.B.E.L.S.. Starfire was created by Marv Wolfman and George Perez, first appearing in DC Comics Presents #26 (1980).